I’m starting to think of Valentine’s Day! Starting… Who am I kidding. 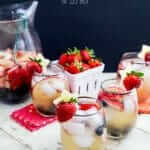 Valentine’s day stuff has been blowing up my Pinterest boards since December 26th! Ha!! I think I’m a bit behind actually. For 2014, I’ve teamed up with Alicia from Miss Ali’s Cake Pops to make me some seasonal tags. She made some cute boy and girl tags that you can use for cake pop tags or cupcake toppers. 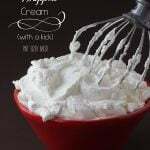 Best of all, they are great year round! I printed them on card-stock, then used this 2-Inch X-Large Scallop Circle Punch and a teardrop punch to create the holes for the ribbon or to slide the stick through. 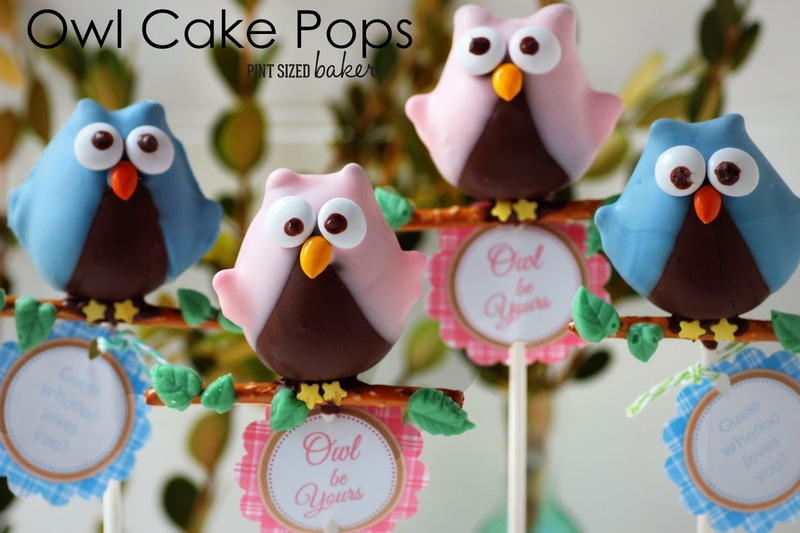 They go great with these little Owl Cake Pops! 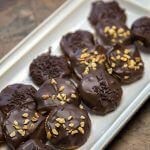 To start, make you cake pop dough and shape into a flattened egg shape. 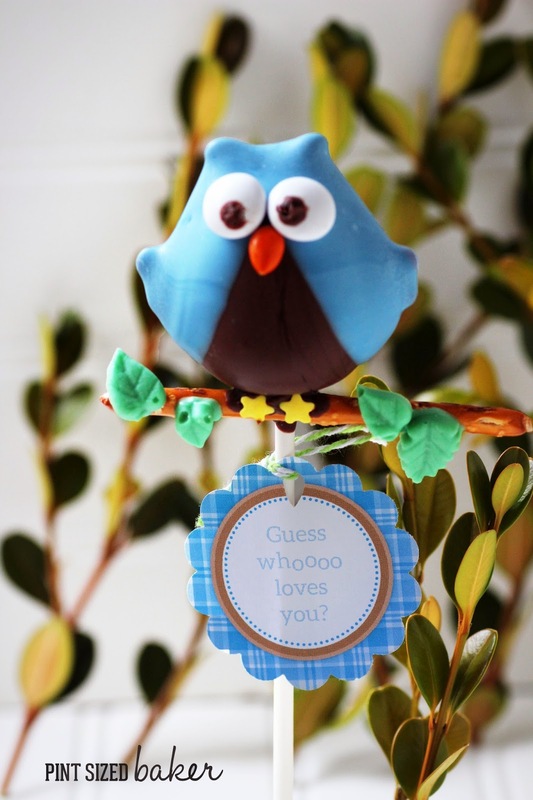 Dip the cake pop in dark chocolate and add the ears and wing to the wet chocolate. Let it dry while you complete all the pops in this manner. 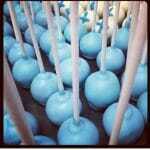 Now, dip the cake pop at an angle in the pink (or blue) candy. Carefully tap off the excess and dip the opposite angle. Attach the eyes and beak to the wet candy and then let it dry. 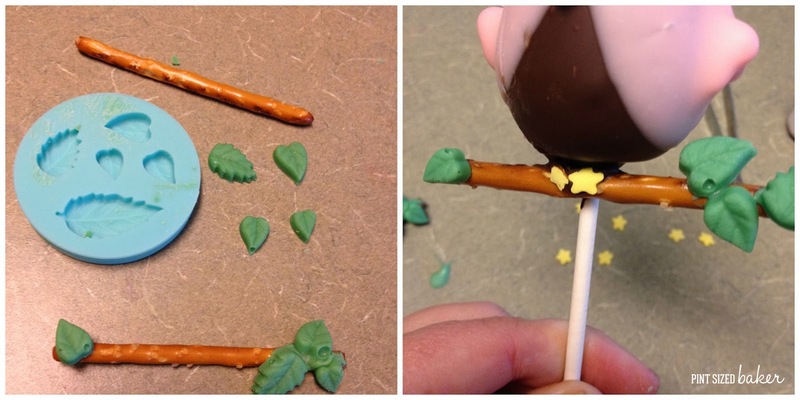 To make the leaves, I used this mold and then attached the leaves to the pretzel stick with green candy. 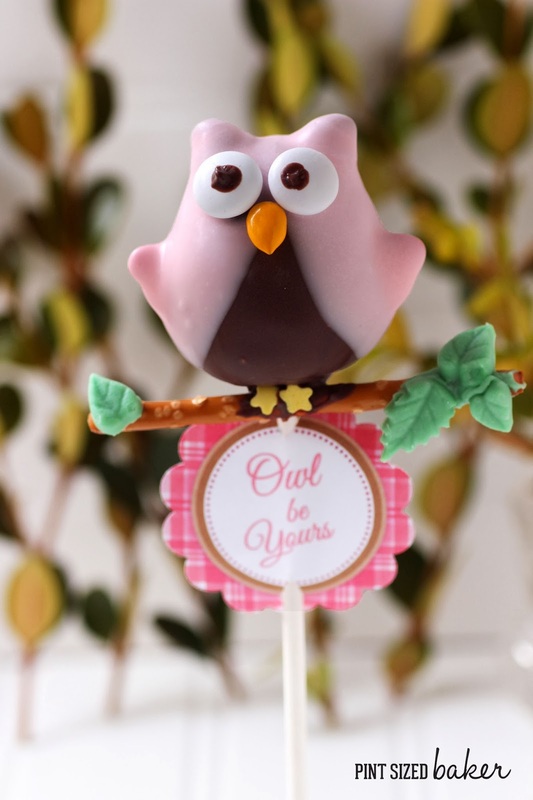 Then I added a touch of chocolate to the center of the pretzel stick and held it under the owl and added my feet. Finally, add the eyeballs with a drop of chocolate. Add your tags by attaching them with ribbon or string or slide the stick though. I was tempted to add a few more “details” like a bow or eyelashes or even scalloped “feathers” on their chest, but I liked them just the way there were and didn’t want to mess up a good thing. Last Valentine’s Day, my Cake Pop BFF, Kim and I made our Love Bugs. This year, we’ve teamed up for these owls. 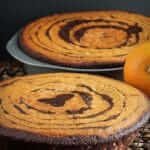 Head on over to KC Bakes, here and check out her guest tutorial from Bella Bakery. 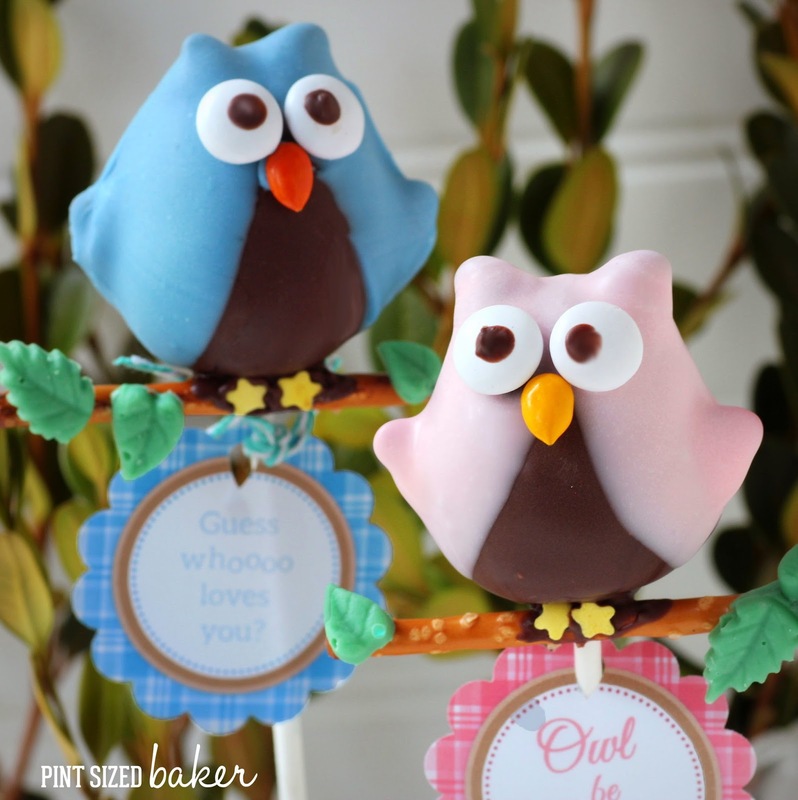 She made some adorable owls as well! 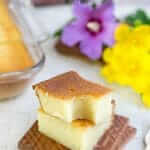 To start, make you cake pop dough and shape into a egg shape that’s a bit flattened on the top. 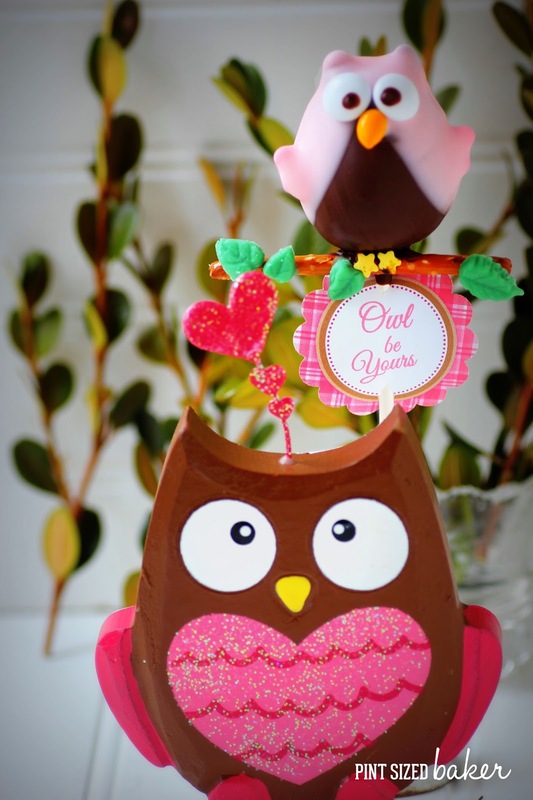 Dip the cake pop in dark chocolate and add the ears and wing to the wet chocolate. Let it dry while you complete all the pops in this manner. 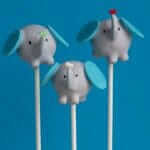 Dip the cake pop at an angle, to cover the ear and wing, in the pink (or blue) candy. Carefully tap off the excess and dip the opposite angle. To make the leaves, I used a leaf mold and then attached the leaves to the pretzel stick with green candy. 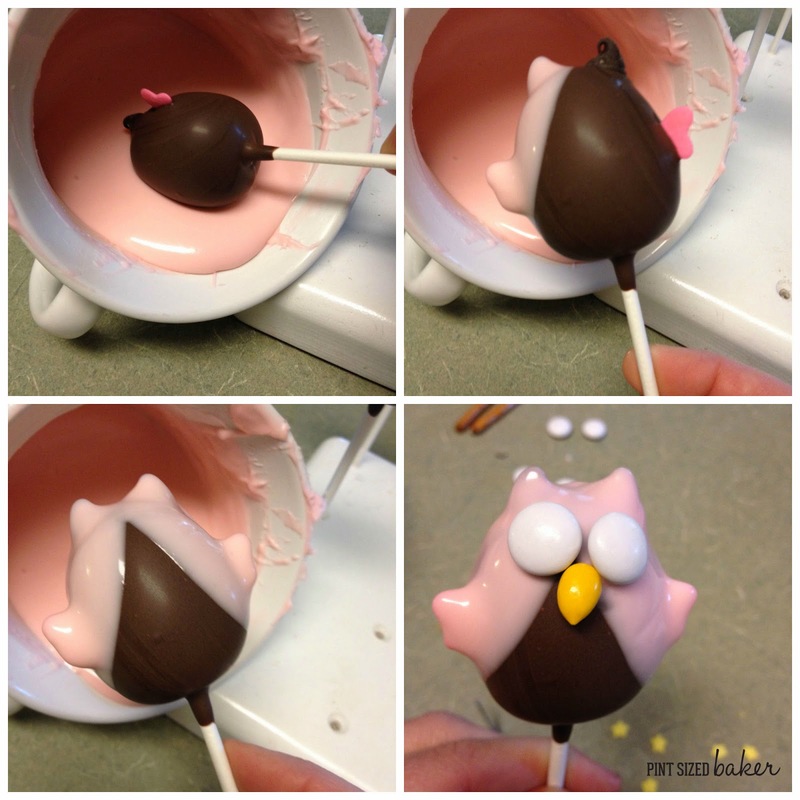 Then I added a touch of chocolate to the center of the pretzel stick and held it under the owl and added my feet. 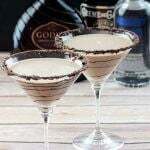 Finally, add the iris to the eyeballs with a drop of chocolate. Use the tags to decorate the sticks and deliver them to someone you love!